Thanks to betazoid's listing we were able to identify this pattern. 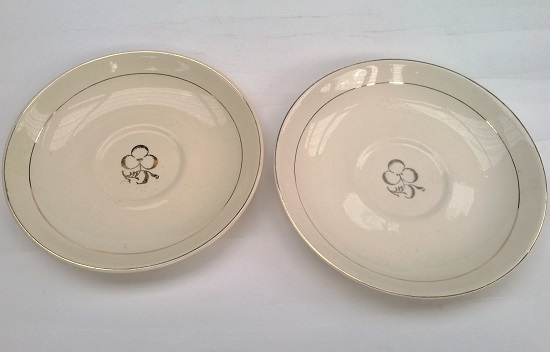 I have two saucers and one is bigger than the other and the left one is creamy yellow with the other looking whiter ... hard to see in the photo though. As there are not any backstamps on these two, I will say that the whiter one is a match for betazoids. This must be one of CL's oldest patterns, Ev, as your Paris examples have the very early Ambrico Made in NZ stamp. 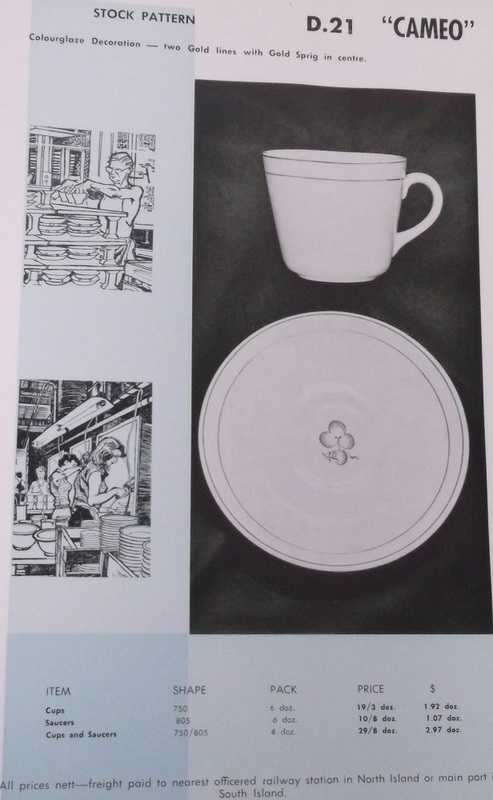 Just found this pattern from 1966 brochure and I will add it here for a short time .. The brochure has "D.21" and it is pattern 210. Did they just add a zero to the end? Does that mean that other 3-digit pattern numbers ending in zero are also likely to be very early, as this one is?